Aldar Properties PJSC has announced the launch of its newest AED 2 billion development, Alreeman in Alshamkha. Blending modernism with tradition, Al Reeman celebrates the virtues at heart of the UAE. Open to all nationalities, Al Reeman lays down the canvas on which you can create the blueprint for the home you’ve always dreamed of. With a single plot of land, you can create a space that’s uniquely your own. There are also attractive opportunities for investors, with a number of land available for commercial builds. Alreeman is spread over an area of 2.8mn sqm with convenient transportation links. The land plots include a series of residential clusters that will feature single and multi-residential villas and apartments, complemented by retail space, F&B, mosques, sports, education and commercial facilities, designed to meet the needs of the future community. • Alreeman is a community that caters to the growing demand for affordable housing in the capital emirate of Abu Dhabi. • Alreeman Vision is to create a luxurious, but affordable community that promotes a pedestrian friendly, sustainable environment where people can live, play and grow in comfort ease. • Detached villa land is also available. Sizes include 510 sqm, 750 sqm and 1,000 sqm. • East of the community, Downtown Shamkha offers regional commercial retail outlets and with easy access to the motorway promises a convenient experience for visitors.• Promising Master Plan and Infrastructure development by Al Dar. • 786 Residential Plots For Villas. • 2- 220 Commercial Plots For Buildings . • Villa Plots Size Start: 500-1000 Sqft. • Building Plots Size Start: 4.5, 5.3, 7 Sqft. • Opportunity to design your own home as per Aldar Guidelines. 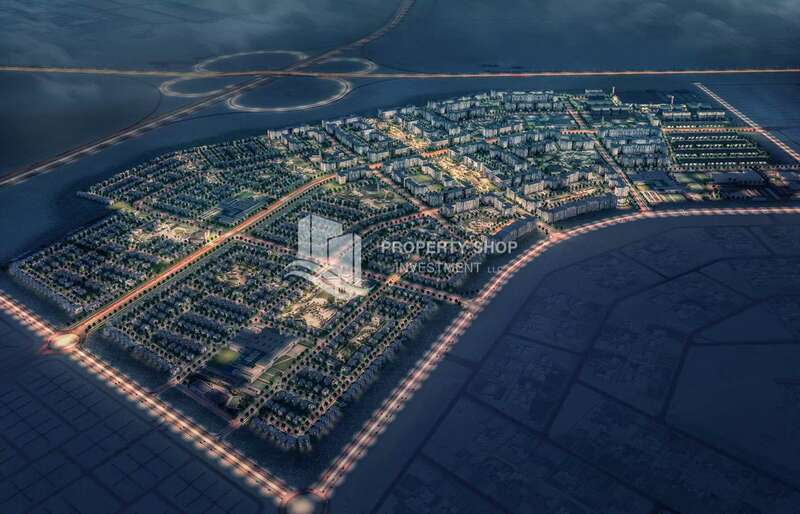 Located in close proximity to the Abu Dhabi International Airport and key arterial highways, the mid-market, mixed-use development offers residential and commercial land plots available for purchase by all nationalities. Alreeman will provide a network of walkable gardens, high-quality parks, open spaces interwoven with greenery and cycle tracks that facilitate public life and social interaction. Construction is expected to commence in 2019 with infrastructure enabled land targeted for handover to clients in June 2021. Key feature of Alreeman is the purchaser’s ability to design their villa or apartment building according to their exact specifications within the approved GFA limits. With a single plot of land you can create a space that’s uniquely yours and it is open for all nationalities with an attractive payment plan. Doesn’t it sound exciting? The sales for the land plots will commence on 19th January at Aldar’s sales centre on Yas Island, with the below starting prices for residential or commercial land. 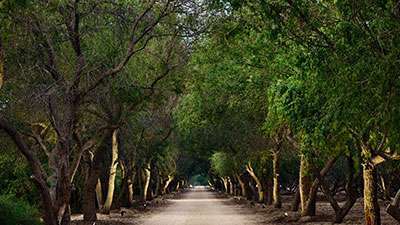 Choose from a selection of residential land in a master planned community in the thriving Al Shamkha area. New investment zone, available to all nationalities. Residential land starting from AED 690,000 with AED 34,500 down payment. A new investment zone, open to all nationalities. 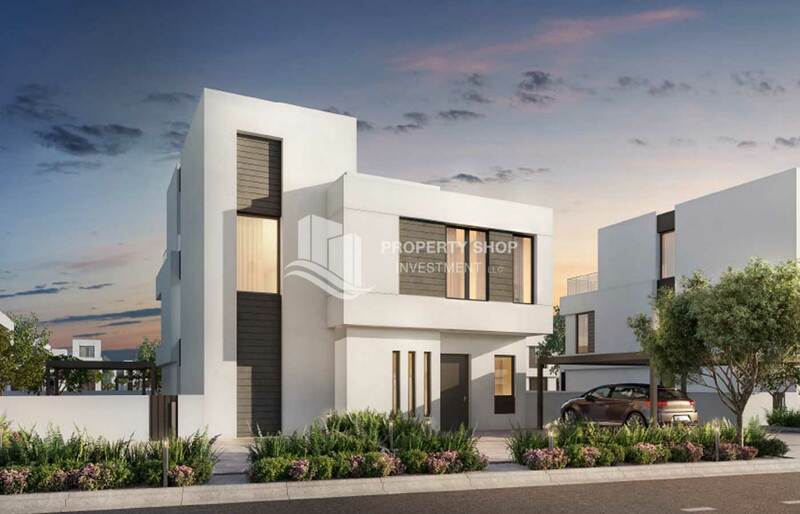 A lucrative investment opportunity in Al Shamka area. 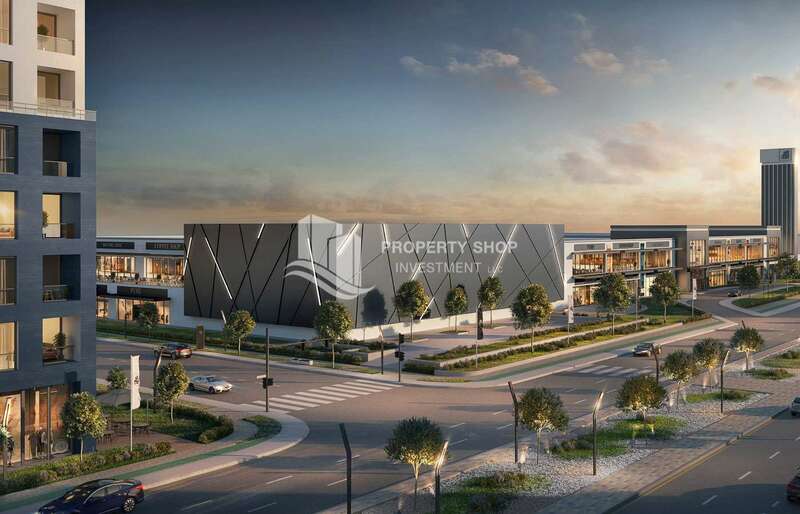 Invest in commercial land in an integrated master-planned community from AED 4.69 million with a 5% down payment and an attractive 10% yield. The general consensus has always been that land is not a worthwhile investment. Why? People falsely believe that land won’t produce income. It just sits there. It’s a boring investment, right? Wrong. Land can produce a serious cash flow, and right now, it’s one of the best investments you can make. Why invest in land? Because they aren’t making any more of it. Land is limited in quantity, which makes it a valuable resource. And if you choose to invest in a growing area, people will be trying to get their hands on your lot. As the population continues to grow and cities are expanding outward, land will become scarce and therefore, more valuable. Whether it’s a couple looking to build their dream home or a corporation looking to develop a new shopping plaza, there will always be demand for land. In areas where growth is high, demand will be even higher. The true value of a land investment can be realized in the long-term, when vacant lots in the surrounding area have all but disappeared and demand is at an all-time high. You can’t hold stocks or mutual funds in your hands. They can disappear in the blink of an eye. But land? Land will never disappear. It’s a tangible investment that you can literally walk on and touch with your own two hands. Because there are no existing structures, there’s no risk of depreciation. It won’t wear out. Nothing can be stolen, and nothing can be broken. Land is a long-term investment that’s safe and secure. No one can take it away from you. Maybe you like the idea of investing in property, but don’t want to have to deal with finding tenants, calling a plumber at 3AM or any one of the other hundred issues that come along with renting property. Land doesn’t need to be “babysat”. It’s completely hands off. You can let the property sit there for 5, 10, or even 20 years, and nothing will happen. It won’t deteriorate, and it won’t fall into disrepair. As a land owner, you never have to lift a finger to do anything with your property – unless you want to. It’s the ideal investment vehicle for anyone looking for a hands-off investment. In a way, land is a “set it and forget it” kind of investment that costs very little to maintain. Investments can be complicated. There’s a learning curve no matter which vehicle you choose. But land is a relatively easy beast to tame. You don’t have to worry about renovations or construction. You don’t need to be an expert in flipping houses. More often than not, the only thing you need to be concerned about is whether or not the land is buildable. If someone else can build on the land, there’s potential for the plot to be a valuable investment. Land owners are almost always highly motivated to sell. Why? Because they don’t have an emotional connection to their investment. They’re absentee owners. They don’t live on the land, and it’s probably not producing any income for them. For this reason, they’re highly motivated to sell, and many times, for a rock bottom price. In addition, land investing comes with very little competition. Why? Because most investors are still focused on homes, commercial properties and apartment communities. As long as people continue to believe that land is a “weak” investment, you’ll have little competition to deal with. 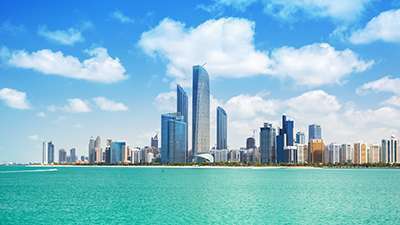 Abu Dhabi is said to be the best market in MENA (Middle East and North Africa) in terms of the financial strength of real-estate players with its sovereign and private wealth combined with strong government support for the real estate sector. In addition to sovereign wealth funds and private investors, Abu Dhabi has multiple strategic overseas investments and is becoming ever more dominant on the world stage. 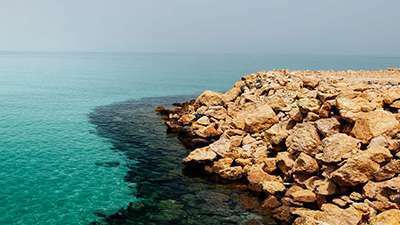 Through economic reforms aimed at engaging and increasing private sector partnership, Abu Dhabi is all set for its next stage of evolution into the cultural, entertainment and hospitality capital of the region. Cluster-based-zoning model allowing full integration within the industry value chain-deriving synergy benefits. The UAE business environment is regarded as being one of the most open in the GCC. Aldar Properties PJSC, is the leading real estate developer in Abu Dhabi, and through its iconic developments, it is one of the most well known in the UAE and wider Middle East region. From its beginnings in 2005 through to today, Aldar continues to shape and enhance the urban fabric of the UAE’s Capital City in addition to other key areas of the Emirate of Abu Dhabi. Aldar is the largest real estate company in Abu Dhabi with 75 million sqm land bank across the Emirate. Aldar is the most trusted, transparent and recognized real estate lifestyle developer in Abu Dhabi and beyond. The Master Developer covering Abu Dhabi’s major development and investment areas. Aldar continues to invest in growing a strong, diversified asset management portfolio to further grow recurring revenues which provide stability through the development cycle. Aldar has six developments currently underway and a clear development plan focused on developing our destinations, Yas Island, Al Raha Beach and Shams Abu Dhabi. Aldar has seen a significant strengthening in its balance sheet over the last several years supported by deleveraging and refinancing efforts on debt and collection of receivables from Government of Abu Dhabi. The Government of Abu Dhabi continues to be a supportive shareholder and strong partner. Aldar continues to work closely with the Government of Abu Dhabi on a number of projects. The Abu Dhabi market fundamentals across all key real estate sectors remain stable. Aldar has a strong, reliable and experienced management team in place to grow the business in line with the strategy.